HOW MUCH SHOULD you care about the happiness of nocturnists? Our cover story looks at the ways groups are working to keep their overnighters on board, and it’s a story that all hospitalists—not just nocturnists—should care about. As our article explains, hospitalist groups are doing everything from giving nocturnists the ability to choose their schedules (working three nights in a row, not seven, for example) and giving them support by assigning NPs/PAs and scribes. The goal is to keep nocturnists from leaving for another group—or from burning out and walking away from night work altogether. Why all the fuss about nocturnists? Physicians who want to work nights are still a relatively rare breed, and no one wants to lose the nocturnists they have. And as sources in the article point out, the downstream effects of losing valued nocturnists includes pretty much blowing up either the work-life balance of the rest of your doctors or your program’s financial stability (through having to hire locums to cover nights), or both. 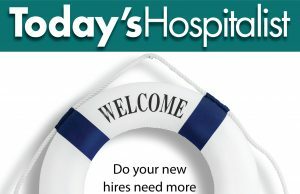 According to data from the most recent Today’s Hospitalist survey, nocturnists as a group could probably use some help. Nocturnists report that they’re slightly less satisfied overall in their careers than daytime hospitalists—and they plan to remain in the specialty slightly less time than their daytime colleagues. With demand for physicians still at an all-time high and many groups competing for physicians, the pressure is on to help nocturnists craft a sustainable career. That includes not only big-ticket items like compensation and flexible scheduling, but seemingly small ones—like restocking break rooms—as well. 1 Comment on "When nocturnists ain’t happy…"
We agree. Contact us to learn more – Wake Forest Baptist Health. How flexible is your comp plan?